Obzhora.net – How to remove? Obzhora.net is classified as a browser hijacker because it gets into your computer via software bundles and aims to generate pay-per-click income. You probably recently installed free software that had Obzhora.net attached to it. This is not an unusual situation because browser hijackers use deceptive methods to enter computers. Obzhora.net will not harm your computer as it is not a malicious computer virus. However, it can still be quite irritating. It will change your browser’s settings without your permission and try to redirect you to sponsored websites. If you avoid everything it has to offer you and delete Obzhora.net, you should be okay. But if you use the search engine, you might end up on a dangerous page and download malware. To make sure your computer remains secure, you should uninstall Obzhora.net. Why should you remove Obzhora.net? Before we go on any further, it needs to be made clear how Obzhora.net managed to enter your computer in the first place. Browser hijackers, adware and other potentially unwanted programs (PUPs) are attached to free software in a way that allows them to install without your knowledge. Those bundled items are hidden in Advanced or Custom modes, so if you want to avoid PUPs, choose that. Do not pick Default settings and skip through the freeware installation process carelessly. By choosing Default settings, you are basically giving bundled items the permission to install. If you start using Advanced, you will save time because you would not need to uninstall Obzhora.net or similar PUPs. Obzhora.net does not differ from hundreds of other hijackers. It enters your computer, makes changes to your browser and hopes that you fall for its tricks. It should be mentioned that it can affect a lot of different browsers, Internet Explorer, Google Chrome and Mozilla Firefox to name a few. The changes are made without your explicit consent and cannot be undone before Obzhora.net removal. 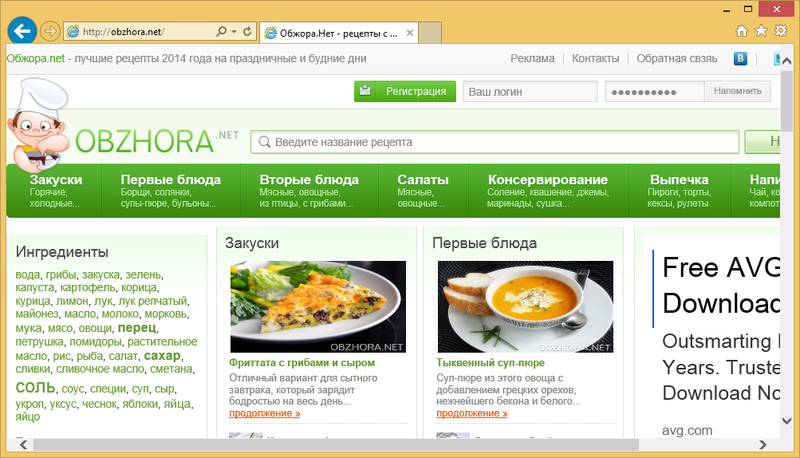 Your homepage, new tabs and search engine will be suddenly changed to obzhora.net/i/start.html. It might look like a decent search engine so you might be tempted to use it. However, it will soon become clear that Obzhora.net is not as reliable as it might seem. In the search bar, it says Google Custom Search, which essentially means that Google search results will be altered to include sponsored content. Be careful not to click on any suspicious websites because who knows on what kind of websites you will end up. You could even pick up malware this way. For these reasons, we strongly suggest you remove Obzhora.net. It should not be difficult to delete Obzhora.net, especially if you have a reliable removal tool. It is also possible to erase Obzhora.net by hand if you wish but you should be aware that involves having to locate Obzhora.net and that could be complex.